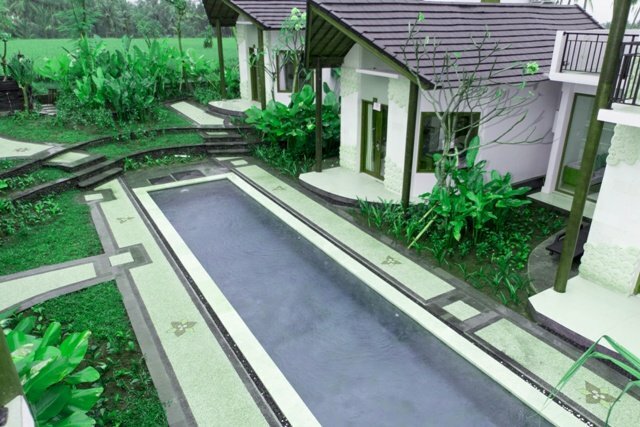 This hotel in Ubud consists of 9 villas and 24 rooms. 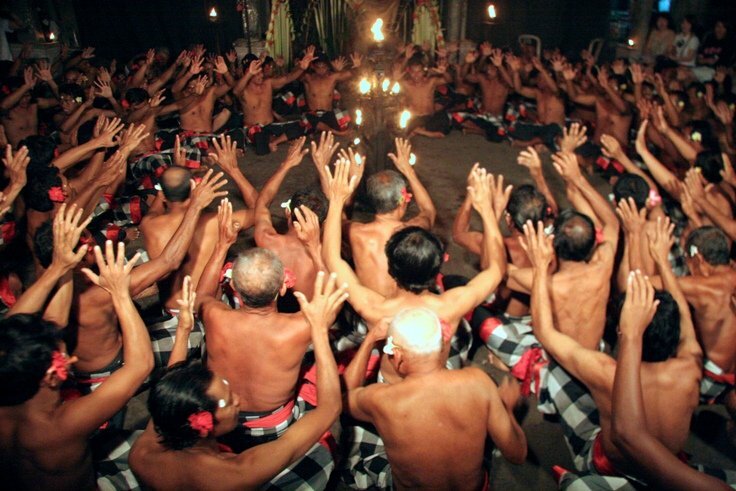 The hotel is located between the rice fields and the views bring you immediately in the Balinese atmosphere. 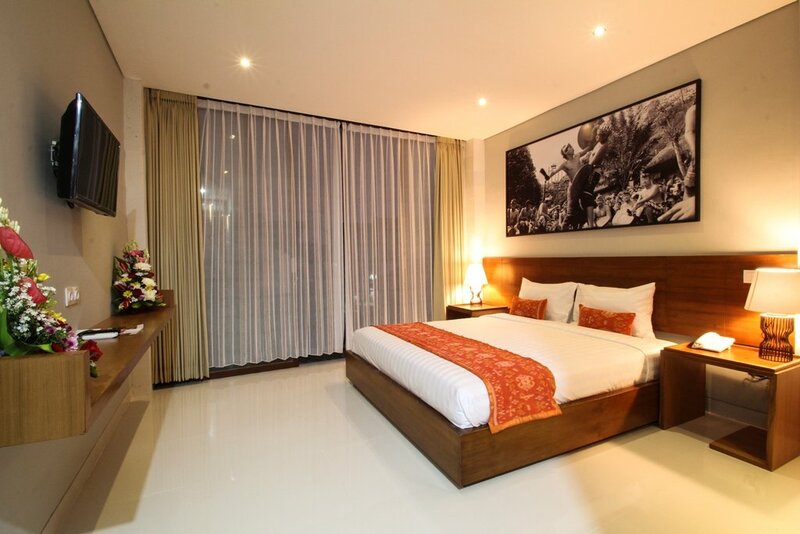 All rooms are comfortable and modern with a Balinese touch. The rooms have AC, bathroom, safe, mini fridge, TV and telephone. The hotel has 2 swimming pools, a restaurant and bar, room service, tour desk and free WIFI in public areas. Upon arrival you will be welcomed by the friendly staff with a drink.